Edith looks wonderful and is aging well. Here is to many hours of sewing with Edith. She is a 66 made around 1954. I have one too, but I don't sew on her because I can't get the tension right. well she is in my highlander right now waiting to go home today!! You will love her! I learned to sew on her slightly older sister purchased by my mom most likely in the mid to late '40s. I remember sitting on mom's lap hemming cup towels in about 1950. Made my first pair of shorts for myself in the summer of 1959 or 1960. Used it for all my home ec projects and later for clothes for myself and my kids after we moved back to Texas. Should have tried to keep it after our house burned in 2000, but I was afraid of water damage and did not know where to take it to be checked out as all the repair places I knew of had closed or the owner was no longer around. Wish I had it now that I have this board for reference to work on it myself. Very pretty machine. She looks like she has had good care. She always was and always will be a classy lady! 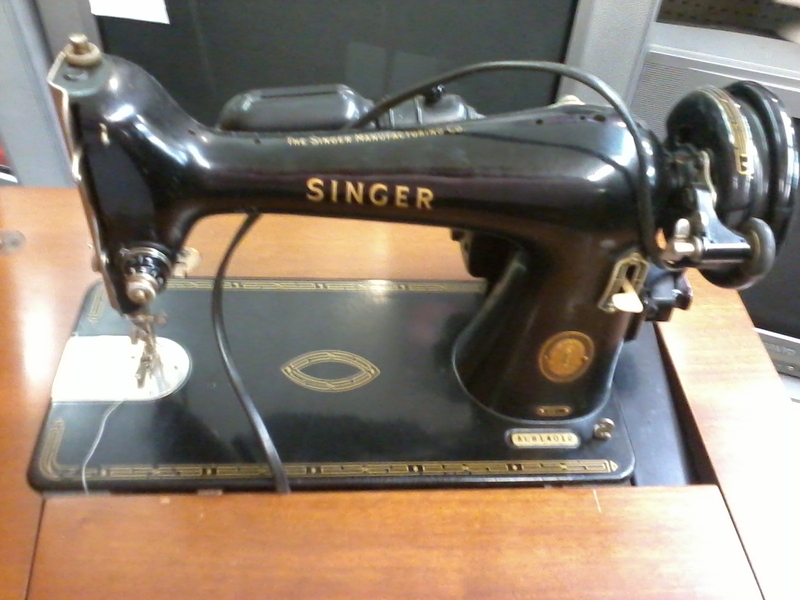 I sew on a Singer 66, and love it..